Pioneers in the industry, we offer white filler master batch, plastic filler master batch, caco3 filler master batch and non woven plastic filler master batch from India. To accomplish the diverse requirements of our valued clients, we are engaged in offering an extensive range of WhiteFiller Master Batch. 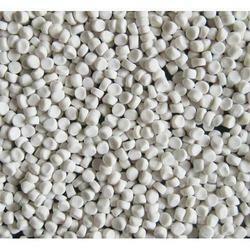 These filler master batches are produced with material and other high-quality special additives. These filler match batch are widely used in the manufacture of flat yarns for carpet manufacturing bases, woven fabric, vest bag, PE tape, cast film, FIBC, PP bags etc. Owing to the years of experience, we have been able to serve our valued clients with an exclusive range of Plastic Filler Master Batch that is, Calcium Carbonate or Talc Filled PP or LD Filler Master Batch. 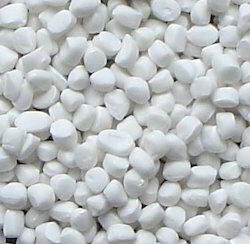 Our filler masterbatches consist of fine Calcium Carbonate Blended with Specialty Polymer and additives, allowing much higher loading compared to conventional filler masterbatches. 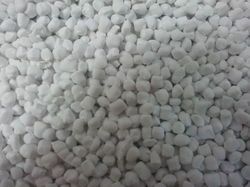 It can be loaded up to 150-200 PHR* in HDPE/LDPE Blown film used in carrying Bags of 15 to 30 Microns. 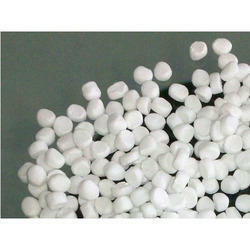 Our company is the leading manufacturer of CaCO3 Filler Master Batch. These filler are quality tested on by experts so as to assure its perfect quality at customer’s end. These offered filler are processed using best quality pigments and other additives in accordance with the industry standards. Additionally, it can be availed by clients in various customized packaging options as per their varied requirements. We hold expertise in supplying an exclusive range of Non-Woven Plastic Filler Master Batch that is appreciated in the market for its high durability & optimum quality. We manufacture this product under the most stringent quality norms conforming to the international standards and by using cutting-edge technologies in our ultra-modern facilities. Customers can avail this product with quality packaging in a given time frame. Looking for Filler Masterbatch ?